This document applies on orders received from 4th February 2019 through to 31st January 2020. 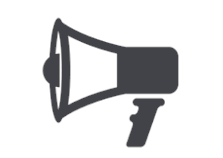 Any price update, as well as prices lists for subsequent years, will be notified and/or published before they become effective. BIC Graphic Europe (hereafter also referred to as “seller”) may publish any price update on its website www.bicgraphic.eu. All merchandise manufactured or sold by BIC Graphic Europe is guaranteed to be free from defects of material and workmanship and according to applicable regulations. Any merchandise found to be defective would be replaced or reimbursed by BIC Graphic Europe. By submitting a purchase order, the buyer agrees to these Terms & Conditions. In the event of the conflict between the present Terms & Conditions and the terms and conditions in a buyer’s purchase order, the present Terms & Conditions shall prevail. All orders are binding upon the seller only after their acceptance by BIC Graphic Europe. Approval of economic conditions will also be requested as the seller reserves the right to reject any order in case of unpaid invoices All orders are subject to credit approval. Occasional price modifications, Terms & Conditions, items and colours are subject to change without prior notice. Any item or item colour or imprint colour can be discontinued without notice and without right for compensation. 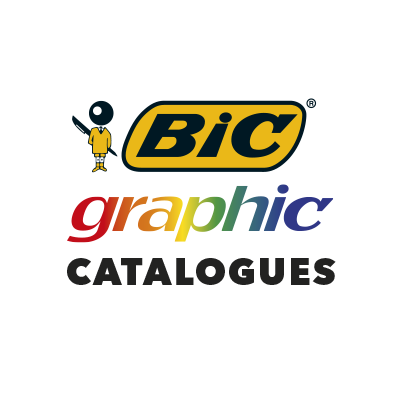 BIC Graphic Europe 7/12-Working-Day-Shipment Service is available for all standard orders (for maximum quantity, number of imprints and standard packaging please refer to 2019 Catalogue or website). Shipment time begins after artwork approval. For lighters and electronic products, due to international transport regulations the shipments could take some additional working days. Changes will delay orders and must be authorised by BIC Graphic Europe. After production has been initiated, orders cannot be changed or cancelled. Incomplete orders will be put on hold or returned. This will delay ship dates. 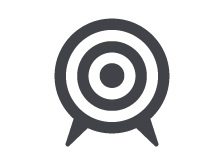 We reserve the right to supply and invoice 5% more or less products for all printed orders. BIC Graphic Europe will select best available carrier for ground shipments, unless otherwise requested. The seller cannot accept responsibility for time delays in transit. Such responsibility ceases when merchandise is delivered to the carrier. Merchandise damaged in transit is the responsibility of the carrier. If you require a specific shipping date, it must be noted on your order. Please supply complete street address with full postcode, phone number and name. Our standard shipping packaging has the BIC Graphic Europe logo printed on the box and/or on the packing tape. You might receive Partner Brands products in neutral shipping packaging or with the said partner brand logo. If you detect any abnormalities with the received box, please specify it in the transport delivery note. Sold products are warranted for their original intended use. This warranty obliges the seller to replace defective products as well as pay for the cost of transport, according to active postal tariffs, that this replacement may imply. Any defect or deterioration resulting from the use in which the product was not originally intended, action of an external agent, or modification of the product unforeseen by the marker will not be covered by this warranty. The buyer declares, acknowledges and guarantees that he will not submit the products supplied by the seller to any personalised printing with a “reprehensible” message/design. The buyer also declares, acknowledges and guarantees that the messages presented for personalisation do not contain any third party personal or intellectual property rights. As such, the buyer will keep the seller harmless of all and any action, complaint or any other legal action taken by any person that may occur or be placed somehow against the seller due to damage or harm related to the personalised imprint requested by the buyer. This guarantee will apply to all damages, costs, expenses and fees that may be demanded in any way from the seller. 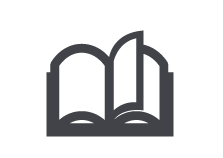 For information related to imprinting and printing standards, please refer to the catalogue product page, our website or your customer service contact. Logos and other imprints shown in the catalogue or website are for illustration only. Product colours shown through the catalogue or website may vary slightly from real products due to inherent limitations in photography, film separations, offset printing and plastic moulding process. Please ensure you agree with the colour of the real product before confirming your order. Should you have any queries please contact BIC Graphic Europe for a real be invoiced to the buyer. Images and samples of orders made for customers can be used by BIC Graphic Europe for its own advertising (except if expressly denied when placing the order). • Advanced payment may be requested in some cases. • The right to year-end bonus, rebates or any other advantages will only arise if all the invoices for the considered period have been effectively paid on the fixed terms. Please contact your customer service for complaint process related to the purchased product. Unless otherwise advised, please return urgently 2% (minimum 10 units) of the total quantity received if you discover an issue with imprint or product quality. These samples cannot be accepted for invoices over 3 months old. We reserve the right to request the total ordered quantity if necessary. Unless otherwise indicated, all products are available for European. Middle Eastern & African countries. Data controller: BIC GRAPHIC EUROPE, S.A., with business address at Pol. Ind. Entre Vias s/n 43006 Tarragona. Spain. Tax ID/VAT Number ES08213712 Tel. (+34) 977 55 60 44 · Fax. (+34) 977 55 15 54 - Email address BGE.Data.Protection@BICworld.com. On behalf of the company we process the information provided to us in order to provide the requested service, carry out its invoicing and manage any operation arising from the request and purchase of the product, therefore the legal basis for its processing lies in a contractual relationship between the parties. The data provided is stored for the duration of the relationship and for up to 15 years afterwards, in case tax, trade, civil or any other type of liability arises. The data may be communicated to and accessible by companies within the BIC Group for operations in BIC Graphic Europe’s interest and exclusively for the established purpose, outside of this, they will not be sent to third parties except where there is a legal obligation. BIC Graphic Europe does not expect to carry out international transfers of the data collected from this relationship, although in the event that this situation changes the distributor would be informed and consent would be sought if necessary. BIC Graphic Europe informs you that we are responsible for the processing activities in which personal information is collected, which are gathered and internally available through the Processing Activities Register, providing at all times the possibility to exercise your rights of access, correction, opposition, being forgotten, removal, limitation and portability. You can also withdraw your consent through an individual message by email sent to BGE.Data.Protection@BICworld.com, indicating DATA PROTECTION as the subject. All orders placed with BIC Graphic Europe SA will be governed by Spanish Law. If there would be any unresolved discrepancy between the Parties, it will be submitted to the Courts and Tribunals of Tarragona, Spain.